Earth Day was founded by United States Senator Gaylord Nelson as a way to teach students about environmental issues and has grown into a global event, and now is recognized in nearly 200 countries around the world. Nelson would later be awarded the Presidential Medal of Freedom in 1995 on the 25th anniversary of the first Earth Day on April 22, 1970. Whether you already have your Earth Day coverage planned for this Friday or not, we pulled together a few ideas for how you can localize your coverage of the global event. 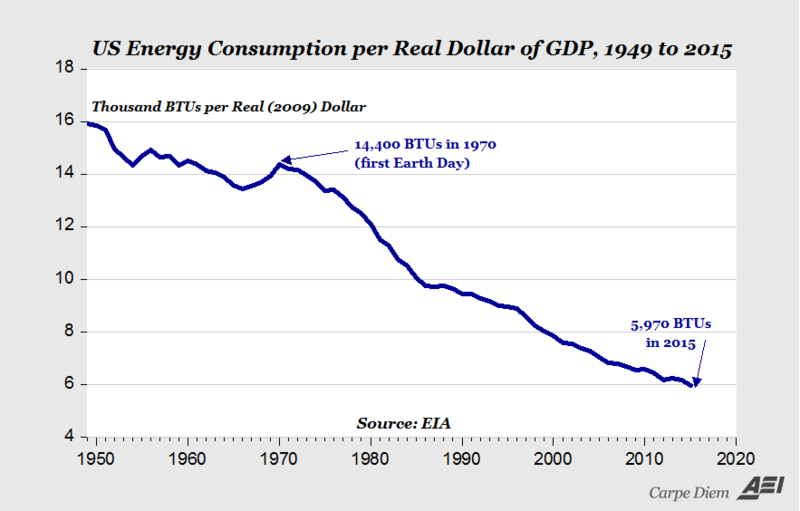 According to this report published on American Enterprise Institute, in 2015 the U.S. economy was twice as energy efficient as it was in 1970. The author, Mark Perry, makes a series of correlations to the changing way in which energy is used in our country’s growing economy to suggest that perhaps it literally pays to be more concerned about the economy’s impact on the environment. While Perry’s report is focused on the nation’s economy as a whole, local economies are what make up the numbers that he is referring to. Many individuals and businesses are making their own small steps to be more conscious of the environment, whether it is as simple as swapping traditional light bulbs for newer, more energy-efficient bulbs or more advanced like installing solar panels as a way to supplement energy costs. Inform your readers which local businesses in your area are making efforts to be more energy efficient themselves. Talk to business owners about why they are making changes to be more green and the changes they are seeing from their efforts. Is the initial investment they’ve made worth the return they’re seeing? What are their customers saying about the changes they’ve made? Have people even noticed a difference? As a follow up to how local businesses might be taking steps to be more energy efficient, take some time to talk to individuals about what changes they might be making at home to be more environmentally friendly and why. Digital tools like Tout make the interviewing process a breeze and those videos can add an interesting layer to your coverage when you embed them with stories or post them to your social media accounts. If you’re at a loss for where to find people to speak with, the Earth Day Network’s website has a searchable map of public Earth Day events that are taking place in countries around the world. Is there an event that has been scheduled in your area? Maybe you’ve seen ads or flyers up about Earth Day events near you. Interviews are not only a great way to localize coverage, but are also an awesome way to engage with your own community to find out what it thinks about national or global events. See what Earth Day events are planned around you on Friday and make a few calls to organizers. They’ll likely be happy to take advantage of any media publicity and you might get some great quotes about why people in your community think going green is important. The Arbor Day Foundation has links to numerous reports that espouse the benefits of trees, from how they help clean the air we breathe to how they can increase property dollars. What sort of emphasis does your community place on green spaces? Has there been a large public project recently that has caused a reduction of green space in your area? Or has your community recently renovated a park or dedicated a new one? Brainstorm how you can create a story that shows how green space has impacted your community using data from publicly accessible records. It could be as simple as an estimations of how much total oxygen is created from all of the trees in the parks in your town or a slightly longer study of the property values of homes and their proximity to green spaces. Many GateHouse Media papers publish themed lists of local events happening in their area to give readers an idea of what sort of summary of notable activities that are happening any given week. While the Earth Day map we mentioned above is only a listing of officially recognized events, you can easily create your own embeddable map of area activities that are happening locally mapping tools. Depending on how much time you want to put into the map, you can either have a list of pre-decided events that are added to a map of you can have staff add further events as they heard about them. Can the web save the press from oblivion?